This month we have The Faculty: 6 Week Standup Comedy Course coming up with the talented Graeme Watson of The Infinite Jest. We’ve taken the time to ask him about his business and about the field of standup comedy. Check it out! The Infinite Jest essentially began as a project to develop live comedy and comedy talent in Northern Ireland. When I began performing comedy properly in 2008, there wasn’t really a stand-up comedy scene in Belfast. There was one weekly comedy club – The Empire – which had been built around Patrick Kielty in the 90s, but there wasn’t a network of small to large clubs in the city which could allow new acts to start, develop and improve. Ten years on and stand-up comedy in Belfast is booming like never before, with comedy nights popping up all across the city. With the Infinite Jest, my aim is to demystify stand-up comedy as a performing art, and to provide a space and platform for new and established acts to develop and experiment in ways that they can’t usually do within the normal comedy club environment. You must have great fun during the course, being in a room with other comics! What’s one of your favourite memories from previous courses? I’ve lost track of how long the course has been running now – I think it’s about 8 years! And it’s always a fun and fascinating journey for all the participants, from the nervous first week to the final performance at the end. I’m not sure if there’s a favourite memory as such, other than my pride in what people achieve by the end, but because stand-up comedy requires people to delve quite deep into themselves and their lives, a lot of really close friendships are made during it, and I love watching how each group evolves. Comedy is something that’s always been a passion of mine since I was a kid – I wanted to be a clown from the age of 4. I dabbled a bit in stand-up when I was at school, and then a bit more when I went to university as an undergraduate. From that I realised it was something I was able to do pretty well, and I was bitten by the bug. It wasn’t until 2007 though that it occurred to me to start running gigs and seeing if a scene could be created that would solve the problem of there not being enough gigs in Northern Ireland to actually develop as an act though! And by a lucky coincidence, around that time I found quite a few other performers who were interested in doing the same thing. So it all sort of grew from there. What do you think about mainstream (televised) standup comedy, is it what most comedians tend to strive for? That’s a good question. I don’t think being a TV star is the end game for all comedians, but it certainly is for some. But it doesn’t have to be, and for most people of course, it’s unobtainable – only a very small minority of writers/performers will actually achieve that. I also think stand-up comedy is best in a live setting than on TV – TV comedy can be pretty sanitized and banal compared to what you can see in a club or theatre. There are lots of reasons to do stand-up, just as there are lots of reasons to do anything creative – I think the main thing is to get satisfaction from developing your craft and getting good at it. But every stand-up who wants to make a living at it obviously needs to find an audience for what they do, and these days I think regularly producing social media content is the main way to build an audience that will come and see you live. 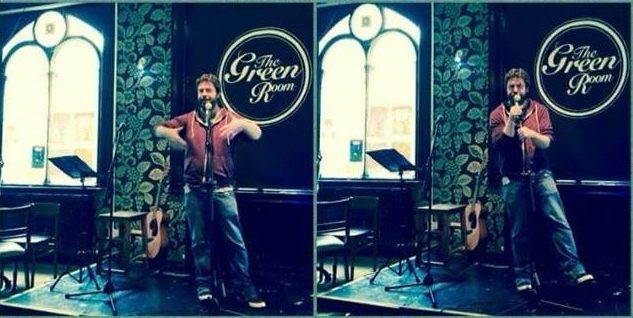 Comedians in Belfast have been exceptionally good at this I think – because there isn’t the sort of mainstream media infrastructure or opportunities you have in places like London, the people that have really succeeded in building huge audiences have done it themselves through YouTube and podcasts. I think that makes things much more exciting, really. You can book your space for this 6 week course here!